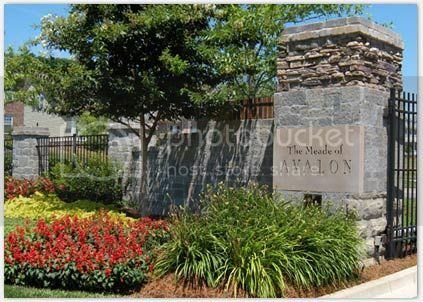 Avalon is a range of beautiful homes in a gated community. Homes range from 3,500-5,000+ s.f. In addition, condo homes are also available, and located near community amenities including the pool. Circlular entry, excellent common green space, playground and clubhouse mark just a few of the benefits of Avalon. Current school zones as of 2016 are Kenrose Elementary, Woodland Middle, and Ravenwood High School.